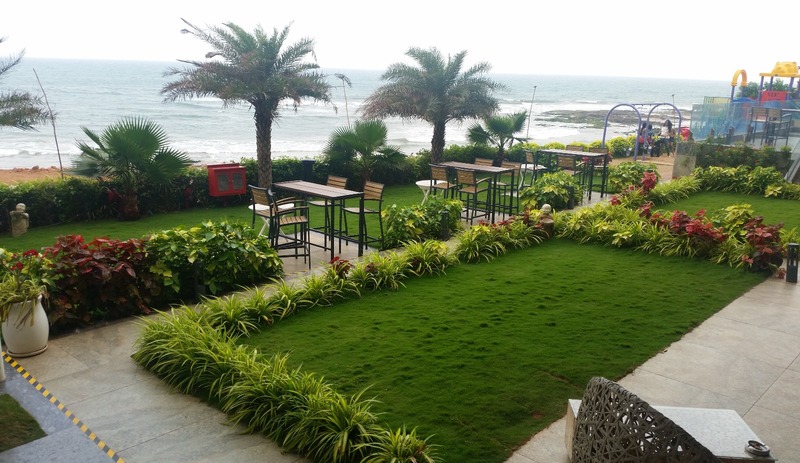 Last year when I had travelled to Vizag on a break and was staying at The Novotel, Varun Beach (Read here: Novotel at Vizag), I was told by one of the hotel staff that another Novotel property was soon to be inaugurated at Bheemunipatnam, and this new place would offer a breathtaking view of the rustic sea. So, this time when I was planning a weekend getaway to Vizag, I checked about this hotel from the Accor Plus website and booked myself in for a night there. Bheemunipatnam or Bheemli as it is known is about 30 km from Vizag. The winding road goes past Rushikonda mostly along the shore, and the one hour journey is very pleasant except for some constructions on the way. We reached around 3 pm and were promptly checked in. 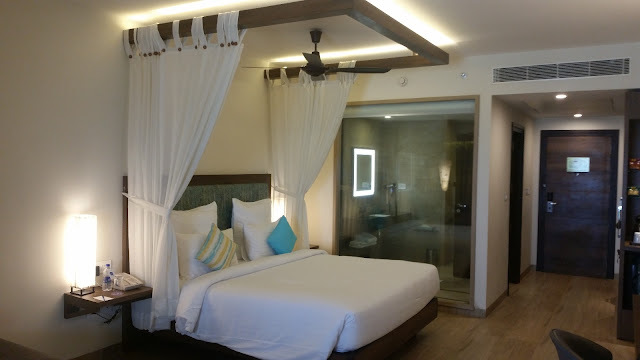 Each of the large rooms has an attached balcony, where you have a stunning open sea-face right in front of it. The rooms had all the trappings of a star hotel with a coffee making machine and mini bar. A large glass window even allows you to have a clear sea view from your bed. A tour of the hotel, took us to the rooftop. Here there was the swimming pool just overlooking the sea. The other side had their rooftop restaurant Teppanyaki, serving Japanese and Asian fusion food. 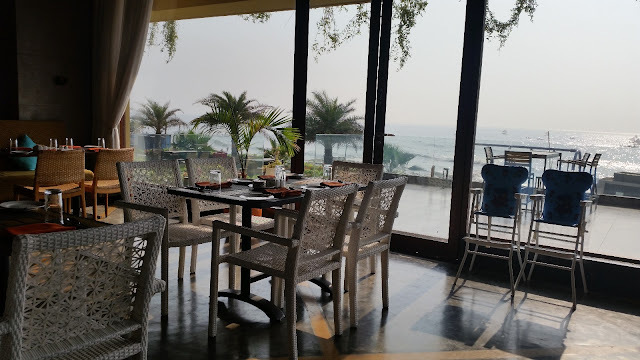 The restaurant had both inside as well al fresco seating with a view of the sea. I made a mental note of coming back here for dinner. Downstairs, we ended up chatting with some of the hotel staff. The hotel is hardly six months old with about 28 rooms, all with sea-view. At the lobby level, they have their all-day dining restaurant The Square which serves buffets for breakfast, lunch and dinner as well as a-la-carte food. Next, toit Water Bar with a view of the sea serves select drinks. Adjacent to the bar there is a snooker table. In fact for recreation, the hotel has many other facilities such as a Mini Theatre to watch movies and a Kid’s Arena just outside. 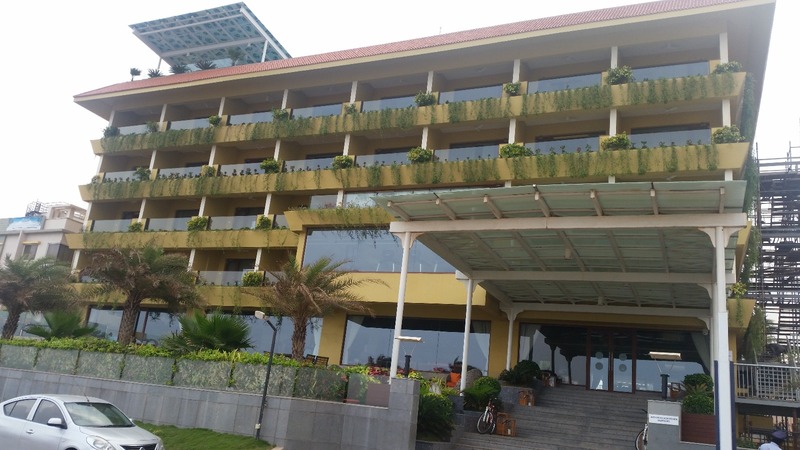 A banquet hall and conference facility is also available in the hotel. We ventured down to the beach below. A very rustic and beautiful seashore, you can see water almost all around you at almost 180-degree angle. Rural cart vendors had parked themselves next to the beach selling simple stuff like tea, ice creams and Mirchi Bajji. The roads off the beach take you to inside Bheemili, a small town between Vizag and Vizianagaram. The only dampener was the fact that some parts of the beach lacked cleanliness. 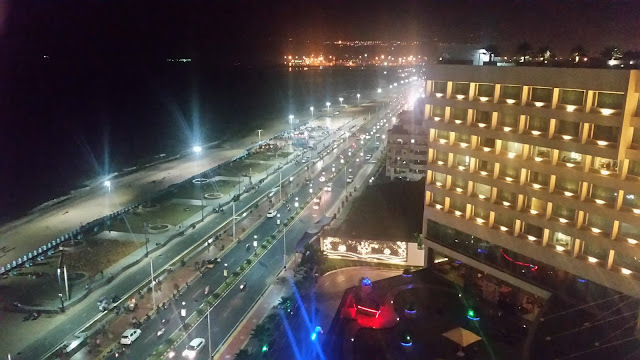 When I spoke about this on my return to the hotel, I was told that the hotel is planning to take over the development of the beach right in front of the property. We had our dinner at Teppanyaki, a Japanese restaurant on the rooftop. 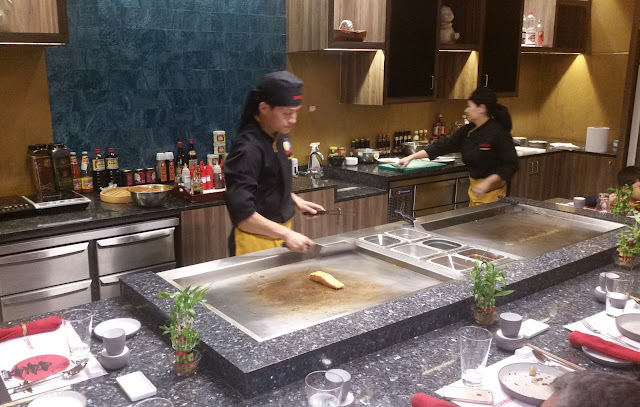 The restaurant has a teppan in place for live cooking in front of the guests. The seating is all around the iron plate where you can watch your dishes being prepared. 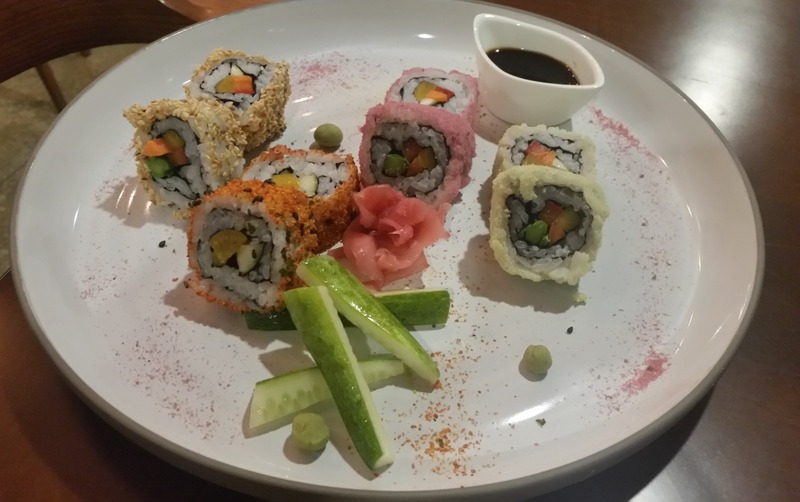 The restaurant had a small menu – mostly Sushis, Gyozas and Teppanyaki dishes. 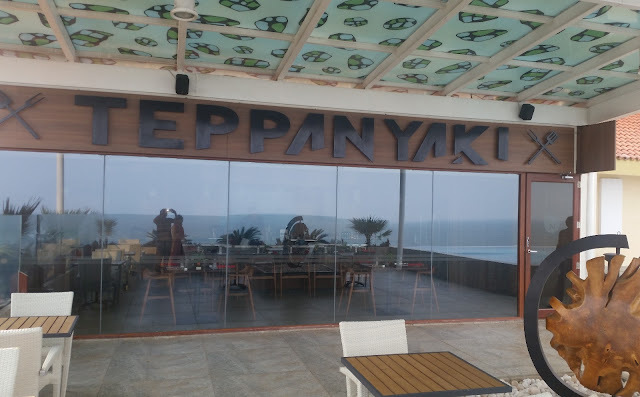 Chef Srikanth who is in charge at the hotel told us that the restaurant has created a buzz in Vizag, and they have people driving down in the weekend to try this cuisine. Our dinner was a plate of assorted sushis followed by two dishes from the Teppanyaki menu. 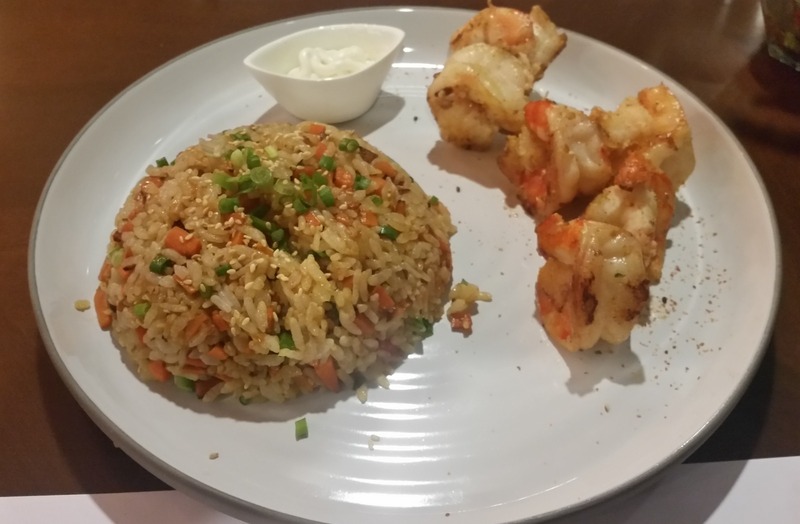 Ebi Wasa Mayo or Grilled Prawns in Wasabi Mayo Sauce were served with Garlic Fried Rice. Buta No Sogayaki (Sliced Pork with Soya Ginger Sauce) with wheat noodles was the other dish ordered by us. 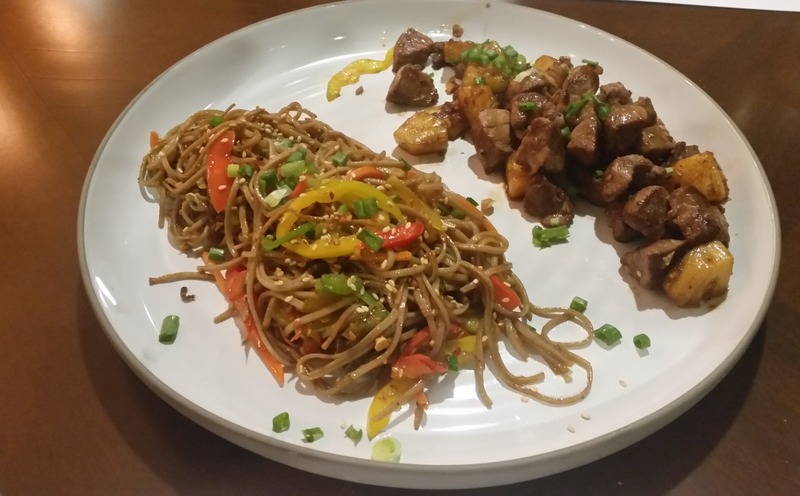 Both the dishes were simple and well-prepared with authentic flavours. Next morning we had set our alarm at 5:30 am for the sunrise. The sunrise could be experienced right from the balcony of our room. 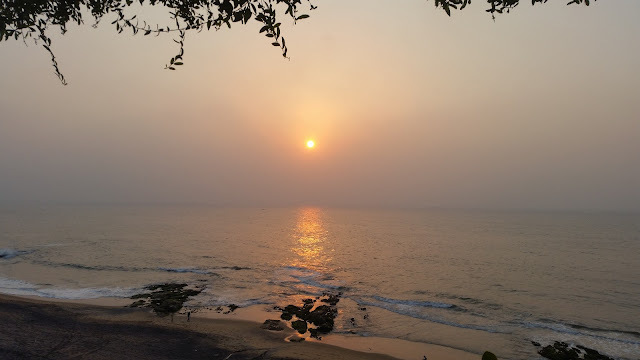 It was mesmerising to see the ocean change its colours in minutes as the sun majestically took its position. A not-to-be-missed activity when you are staying in any room in this hotel, as all rooms are east facing. 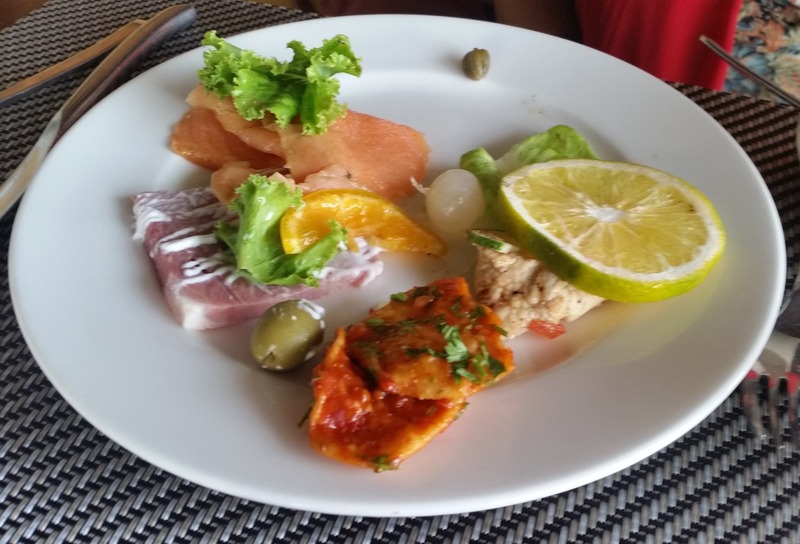 Our breakfast and lunch buffet were at The Square, the lobby level restaurant. While the breakfast had all the usual trappings with cold cuts, South Indian food and a range of flavoured yoghurts, the lunch particularly impressed me with its live counters – a chaat and a seafood and meat barbeque set up in the open space overlooking the sea. The spread was decent the highlights being a range of local Andhra delicacies as well as some good oriental dishes. 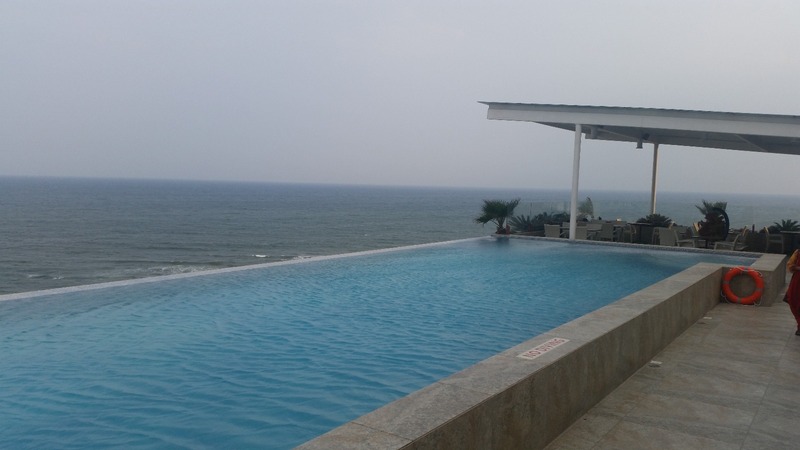 As we were driving back to Vizag after our lunch, I sincerely felt that I should have stayed here for one more day. With the new Visakhapatnam airport coming up in the vicinity, the area may turn into a concrete jungle in a few years. It will make a lot of sense to go back and enjoy the rustic charm once more before that happens.